There are indoor bikes and then there are Life Fitness exercise bikes. No other bike maker can match the style, ergonomics, and technology of the company that made the Lifecycle®, the elite machine that is the preferred choice of health clubs worldwide. The company has a reputation for excellence that was founded more than 45 years ago with the world’s first electronic piece of fitness equipment, the legendary Lifecycle® Exercise Bike. Life Fitness, which is headquartered outside of Chicago in Schillar Park, Ill., is a division of Brunswick Corporation (NYSE: BC). As the most trusted fitness equipment manufacturer in the world, Life Fitness products are used in commercial and public facilities in more than 120 countries – and even at sea, as Life Fitness cardio equipment was chosen by Royal Caribbean for their passenger fitness center on the elegant 6,000-passenger Oasis of the Seas. Why Consider Life Fitness Bikes? There are two key reasons to choose Life Fitness exercise bikes over other brands: quality and innovation. As the major player in commercial equipment for many years, the company has easily entered the home fitness market with well-engineered, quality products that have placed it at the top in all categories. As for innovation, the company owns over 50 patents, and their cardio machines feature many fitness industry firsts including touch screen technology, iPod connectivity, and console options. The company also launched the Life Fitness Academy to study the science and medicine of exercise and train professionals in fitness programs. Lifecycle® is the name of the line, not just one bike. There are currently seventeen Upright, Recumbent and Indoor Cycle frames, which feature digital heart rate monitoring, advanced and customizable workout programs, and max user weights up to 400 pounds. The base model is the R1, then you have the RS1, R3, RS3, Club Series, Club Series + and Platinum Club Recumbent. As you move up you get stronger warranties, more advanced pedals and higher max weight capacities. The "S" designation means the bike has a step-through design for easier access. The base model is the C1, then you have the C3, Club Series + and Platinum Club Upright. Similar to the Life Fitness recumbent bikes, as you move up in the series you get more durable models with added comfort features. The new indoor cycles include the IC1, IC4, IC5, IC6, IC7 and IC8. As with the recumbents and the uprights, as you move up in the Indoor Cycle series you get heavier flywheels, more adjustability and extra comfort features. The Lifecycle GX and Augie's Quest Lifecyle were recently discontinued. The base C1 Upright costs around $1,399 with the Go Console, and the prices increase from there, with the $4,500 Platinum Club Series Recumbent at the top of the heap. The indoor cycles top out at around $3,800. All models, except for the indoor cycles and the R1 recumbent, offer two console choices: the basic Go Console and the enhanced Track + Console, which allows for more interactivity to track your workouts by connecting with your smart phone or tablet. The warranties on Life Fitness exercise bikes include lifetime on frame, up to 5 years on parts and one-year labor. Lifecycle® Exercise Bikes have a maintenance-free chain-drive system, self-powered alternator systems, and a Poly V belt-drive. Which Life Fitness Exercise Bike Should You Choose? With so many Life Fitness exercise bikes to choose from, it can be difficult to decide which one you should go with. The good news is that you pretty much can't go wrong with any of them. Regardless of your choice you are getting a rock-solid, gym quality machine that will last for years in your home gym, providing a great workout for you regardless of your fitness goals. If budget is a concern, you should look at the C and R Series exercise bikes, as they are considerably less expensive than the Club versions. They are still very durable and well built, they are just not as commercial-grade as the Club series models. But that's OK for most people. The Club Series is for those with open budgets who simply want the best possible machines for their home, or for smaller health clubs that don't necessarily need the commercial versions of the Life Fitness Exercise bikes. In the Recumbent Series, we like the step through design of the RS1 and RS3, so those would be our recommendation. The RS3 will give you a 400 lb. max weight capacity as opposed to 300 lbs. on the RS1, so if you are on the heavier side or there will be multiple users in the household, opt for the RS3 instead. Similarly, opt for the C3 in the upright series, which can support heavier use. If you have the budget for it, our favorite Life Fitness exercise bike is the new Club Series +, either recumbent or upright, because they are the newest model in the series, sleek and modern but still retaining the durability and power the Club bikes are known for. The touch screens are awesome, and now you don't have to pay the hefty Platinum Series price to get them. So to sum up, on the more affordable end go with the RS3 recumbent with step through design or the C3 upright. On the higher end go with the new Club Series +, which gives you the best of all of the other models combined into one. 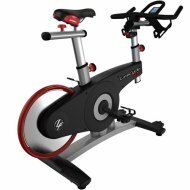 If you are looking for a Life Fitness studio exercise bike but really don't have the budget for it, consider the base IC1 indoor cycle, as it is a great deal at under $1000. It may not have everything the more advanced models do, but it's an incredibly well-designed bike and will be just fine for most users. If your budget is a bit more open, then consider the IC5 or IC6, both of which have the WattsRate computer to gauge your performance level. The IC4 does not include a computer for some reason. The Life Fitness IC7 and IC8 are built for higher level performance, so unless you are training or are just very serious about your indoor cycling, you don't need these upper level trainers. As most exercise bike reviews by consumers and industry pros will attest to, the Life Fitness products are well built, comfortable, and extremely durable. They are priced high but there’s no argument about the superior quality of these machines. Because the company is so widely respected among health club facilities worldwide, you can shop for Life Fitness exercise bikes with the knowledge that it is literally the best bike on the market and your investment will last for many years. You can read our in-depth reviews below to find out more about each of the most popular models, including specs, buying tips, prices and more. This should help you make a more informed decision as far as which model to buy. Life Fitness IC Indoor Cycling Bikes - the newest bikes in the lineup featuring six models for every budget and performance level. 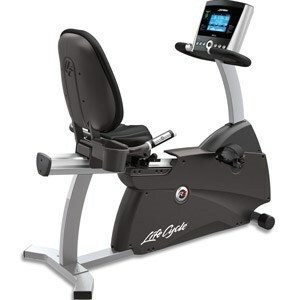 Life Fitness C1 Upright LifeCycle - We recommend the C1 Upright LifeCycle with the Advanced Console for around $1,399 as a Best Buy; one of the most comfortable stationary bikes on the market. Life Fitness Club Series + Upright - The newest release from the company, replacing the base model with an all new look and feel. The new touch screen console is the biggest improvement, with advanced technology and Bluetooth workout tracking. Life Fitness R1 Recumbent LifeCycle - Similar to the C1, this solid bike offers two console options and 20 resistance levels. Life Fitness Club Series Recumbent - Offers the guilty-pleasure comforts just like health club models costing twice as much. But do you really need a $3,000 stationary bike? 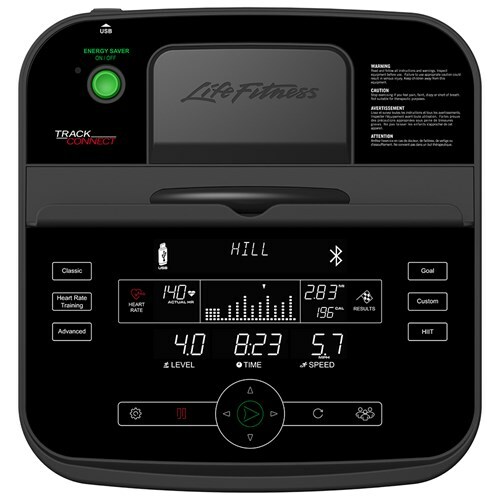 Life Fitness Club Series + Recumbent - An upgrade to the base Club model with a touch screen console and Bluetooth tracking capability. Life Fitness Lifecycle GX - the only indoor cycling bike in the lineup, this one is solidly built and adjustable to fit any rider with optional computer. 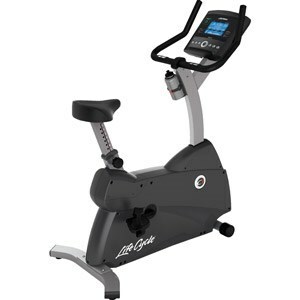 Life Fitness Club Series Upright - Reviews on this model are excellent as expected. Its smooth ride is above and beyond any other upright bike you have ever tried. Life Fitness exercise bikes are currently 15% off! Life Fitness bikes are on sale right now!